First Home Owners are one of our greatest passions. Nothing compares to assisting people to cut through the confusion of our industry and obtain their first home. We have clients all over Australia but we hold a special place for being able to help local Sydney clients into a home they thought was never possible. The NSW Government has recently implemented changes to help first home owners. no longer allow investors to defer paying stamp duty on off-the-plan purchases. The duty paid when buying residential property can be an obstacle for first home owners. For those entering the market, the NSW Government is abolishing this duty on new and existing homes worth up to $650,000. For properties valued at between $650,000 and $800,000, the duty concession will be gradually reduced. Concessions on vacant land will remain unchanged. 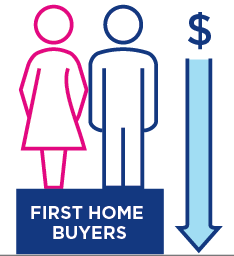 How much could first home owners save? *Total of stamp duty exemptions plus first home owners grant plus savings from LMI duty abolition (Genworth LMI Premium Estimator based on a first home buyer with a $50,000 deposit). **Does not include additional land tax surcharge. This change will take effect from 1 July 2017. Contracts dated prior to the commencement of these reforms will continue to be eligible for the same grants, concessions, and conditions for which they would have been eligible had these changes not occurred. Any First home owners building a new property will be entitled to a $10,000 grant on homes worth up to $750,000. First home owners purchasing a new property worth up to $600,000 will be entitled to a $10,000 grant. This policy aims to provide assistance to first home owners and stimulate the construction of new dwellings. The $5,000 New Home Grant Scheme, which was available to other buyers including investors, will be closed. Insurance duty on lenders’ mortgage insurance is imposed at a rate of nine per cent of the premium. The removal of this duty will save all home buyers (first home owners or not) money if they need lenders’ mortgage insurance. This policy will take effect from 1 July 2017. For example, on a home valued at $800,000, a buyer with a deposit of $50,000 who needs lenders’ mortgage insurance, could save about $2,900. 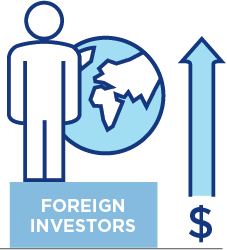 Foreign investors will pay higher surcharges when they purchase residential real estate. The surcharge on stamp duty paid on new purchases by foreign investors will double from four per cent to eight per cent, and the surcharge on land tax will rise from 0.75 per cent to two per cent. Foreign developers will be exempt from the increased surcharges. First home owners often face strong competition for properties from investors. To help counter this, the NSW Government is abolishing the 12-month deferral of duty for residential off-the-plan purchases by investors. Buyers who are purchasing a home they plan to live in off-the-plan (regardless of whether they are first home owners or not) will still be entitled to a 12-month delay in the payment of stamp duty, deferring payment from 3 to 15 months after settlement. But this concession will be closed to investors. For help to get you into your first home, contact us here.